Lewis was the son of Gilbert Silas Allen (1807-1880) and Nancy Waddell (1810-1894) of Lodi, Washtenaw County, Michigan. He was the fourth of at least nine children born to the couple. After the war, Lewis returned to Michigan and married Hannah A. Davis in August 1866. 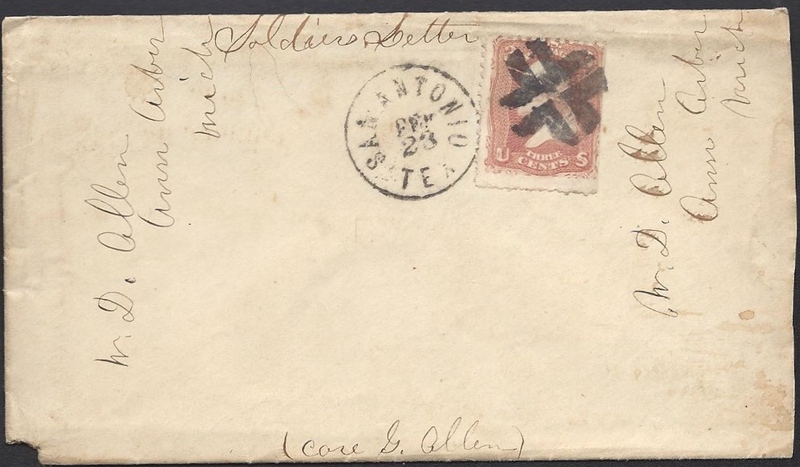 The third letter in this archive was written by Lewis’ brother, Isaac (“Ise”) Waddell Allen (1840-1893). 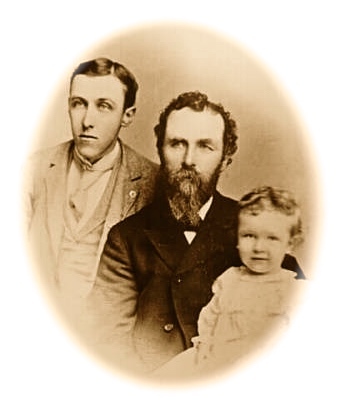 He married Helen M. Sweetland (1844-1936) in February 1867. Isaac enlisted in August 1864 in Co. D, 4th Michigan (reorganized) Infantry. He mustered out of the service in May 1866 at Houston, Texas. 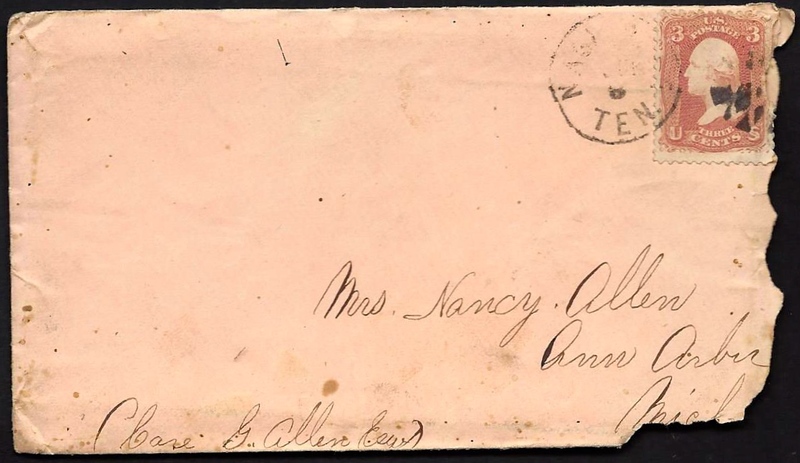 All three of these letters were addressed to Lewis’ younger sister, Martha Jane Allen (1844-1924) who probably should be credited with preserving the letters. Your kind letter of September 27th was duly received and as I have a few spare moments this morning, I thought I would write a few lines that you may know that we are still well and on the march. When last I wrote home, we were at Knoxville. We thought we would stay there some time but on Tuesday morning we were ordered to strike tents and prepare for a march. Well we started for Loudon. We march the first forenoon about ten miles, then stopped for dinner. While we were eating, we heard all at once heavy cannonading in the direction of Loudon. It lasted a couple of hours, then ceased. ¹ That afternoon we marched about five miles, then stopped for the night. The next morning we heard all sorts of stories. We heard that [Col. Frank] Wolford had been surrounded and taken prisoner with all of his men. Well yesterday morning we had orders to have reveille at three and march at five. Off we started on a forced march. It commenced raining about nine o’clock and rained like split a couple of hours and you may bet that made splendid marching. Well about eleven o’clock we stopped and they told us we were to stay there all night but we didn’t feel bad at all. After we got here we heard that Wolford had cut his way out. We expected to march this morning but I don’t know whether we will or not. It is hard to tell when we are going or how long we will be gone. We expected yesterday morning when we started that we would have a fight before this but we hain’t. We hear that there is a large force of rebs coming up this way but can’t tell. We heard that Henry Vreeland had enlisted in the cavalry. Is it so? Does [brother] Ise [Isaac Waddell Allen] think of enlisting? If he does, tell him he had better stay at home and help Pa if he knows what is good for him. Frank Kingsty has got back to his company again. He is our Orderly Sergeant. He says that Ran was quite sick when he left convalescent camp. I think though that he will be up before long for there was a fellow went back after all of the sick. I suppose that Mr. Wicks’ folks know that Josie was killed by this time. Friday morning. We are now across the [Tennessee] River about four miles from where they are fighting. I think it quite likely we will have to go up to the front today. The 25th and 23rd Michigan regiments are here but there are none here that I know. I don’t know when we will get a chance to send out our mail but hope before long. ¹ The cannonading that Cpl. 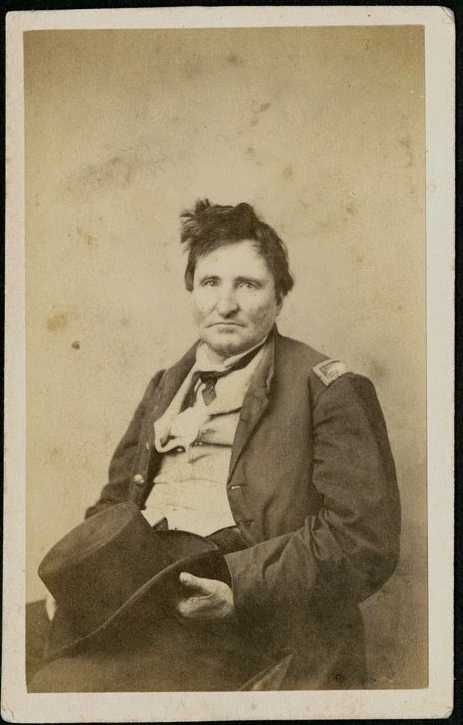 Allen heard came from the Battle of Philadelphia fought on 20 October 1863 in which members of a brigade commanded by Colonel Frank Wolford lost 479 men — 7 killed, 25 wounded, and 447 captured. Philadelphia, Tennessee, was a small market town six miles south of the railroad crossing of the Tennessee River. See The 45th of Philadelphia. Yours of March the 26th was received and I now seat myself to write a few lines in answer to it. It found us well and having pretty lively times for some time and now we have got into Petersburg and I am now sitting in the yard of a fine plantation writing. I wrote you about our being up so much nights. Well on Saturday night [1 April 1865] we were up most all night. On Sunday morning [2 April 1865] we were moved out on the picket line and we were expected to charge the works in front of us but as luck would have it, we did not charge but the troops further on the left charged and captured several rebel works and the First Michigan [actually, the First Sharpshooters] on our right charged and took a line but could not hold it. There was considerable fighting that day and the next (Monday) morning [3 April 1865] we were out again at three o’clock and about four we moved out and some of the troops went forward and captured the reb works without firing a shot. Then we went after them and our brigade was the first to enter the town. The rebs had fled and left us in possession of the city we had been so long contending for and we hear now that Richmond was evacuated at the same time that they evacuated Petersburg. I think that Lee got pretty well whipped here this time. I should have written sooner but I have been on duty ever since we came here and I don’t know as I should have had time yet but we have had orders to be ready to move at a moments notice and expect we will be off tomorrow morning so you must not expect a very long letter. I will send you a paper that was printed in Petersburg yesterday the first Union that has been printed here since the war broke out. Remember me to all friends. Letter Three was written by Lewis’ brother, Pvt. Isaac Waddell Allen, from onboard the Mississippi steamboat Kate Robinson while enroute to New Orleans with the 4th Michigan Infantry. The regiment was on its way to Texas to preserve the peace there following the end of the Civil War. 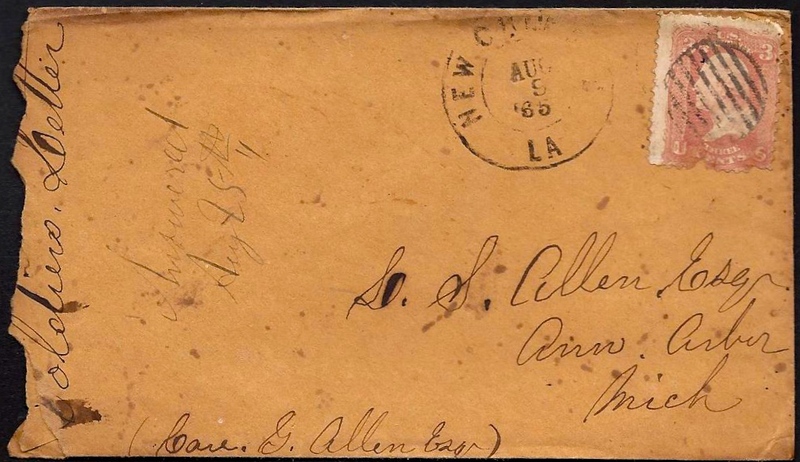 For more on this regiment, see: From Your Affectionate Son, The Civil War Letters of Capt. Charles J. Fox, 4th Michigan Infantry. I wrote a few lines to you yesterday and the mail had gone so I thought I would write a few lines more and mail it [at] Memphis if I could. We left Cairo last night about an hour before sundown and run all night. It is now about nine o’clock and we are perhaps about 125 miles from south of Cairo. I like to ride on a boat first rate but we have awful water to drink. The Mississippi is one of the biggest or longest mudholes that I ever saw. We will probably get to New Orleans about Saturday night. I tell you, Marth, that there is a great deal to be seen by riding fifteen hundred or 2,000 miles on these big rivers. Tell Pa to let Em have five or ten dollars of that money to pay for what she sent me. I expect to be home about next Christmas and I guess we will go back by New York and then we will have seen quite a heap of this southern country. The river is a mile wide here. We are on the hurricane deck and have a good chance to see a great deal but have to sleep in the open air. Well I can’t think of anymore at present. My respects to all. Write often.